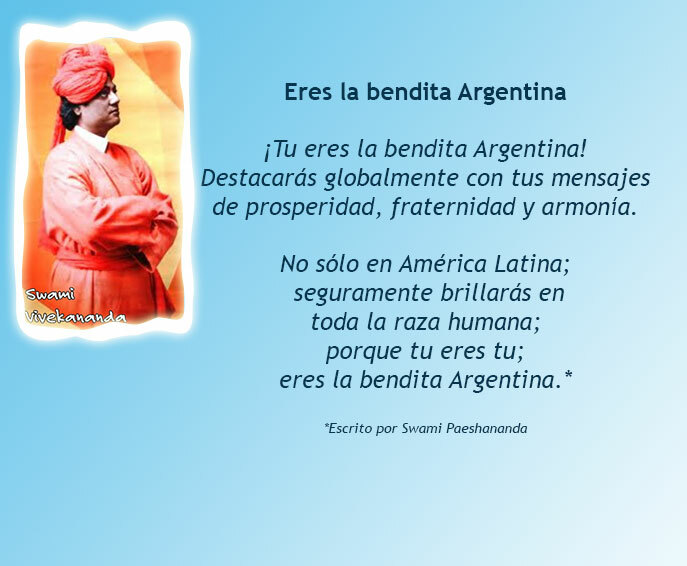 Ramakrishna Ashrama Argentina: ¡Tu eres la bendita Argentina! ¡Tu eres la bendita Argentina! '¡Tu eres la bendita Argentina! de prosperidad, fraternidad y armonía. -You are the blessed Argentina! You will globally distinguish yourself with your messages of prosperity, brotherhood and harmony. Not only in Latin America, surely you will shine in entire human race; because, you are you. 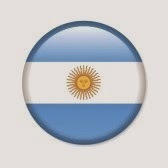 Argentina! You are blessed!